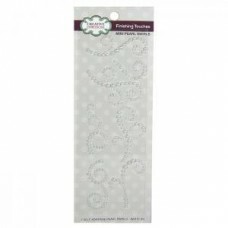 The perfect addition to all your paper crafting projects! 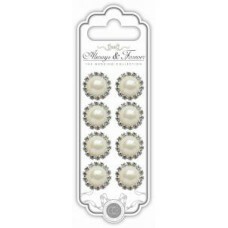 This package contains 25 die-cut chipbo..
Set of 4 adhesive buttons with a different motifs. 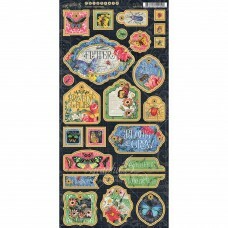 Full of color add-ons for scrapbooking, card..
Set of 4 adhesive buttons with a different motifs. 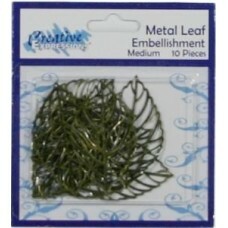 Full of color add-ons for scrapbooking, cardmak..
Metal Leaf Embellishment Medium 10 pieces ..
Pearl & Diamante Circle Charms pk 8 ..
Creative Expressions Pearl String White. 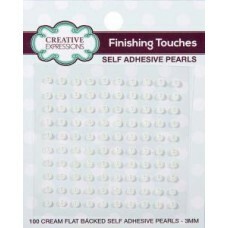 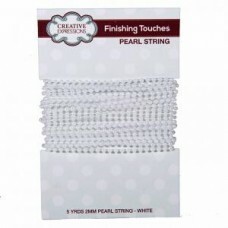 2mm x 5yards ..
Self adhesive flat back white pearl swirls pack of 7 ..
Self adhesive flat back white pearls pack of 7 regular ..
Self adhesive flat back cream 3mm pearl pack of 100 ..
Self adhesive flat back 3mm white pearls pack of 100 ..
Finishing Touches Self-Adhesive Pearls White. 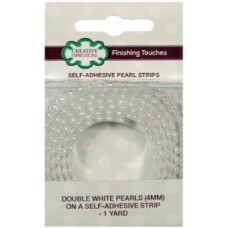 Each strip measures 1 yard in length and comes in a do..
Self adhesive flat backed Diamante Gems 156pk ..